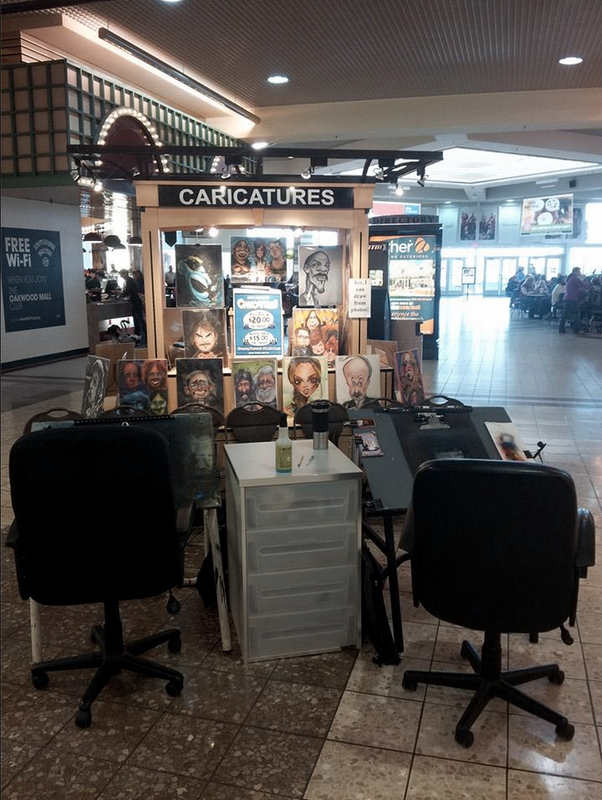 NOVEMBER 2014 – Jason Anhorn is drawing caricatures at the Oakwood Mall in Eau Claire, WI everyday in November. Located at the entrance to the food court. Stop by for your caricature. Currently booking caricature artists for your holiday events, high school post proms, grad parties, weddings and definitely your event.